Over at The Nauvoo Times, my latest post, "The Temple in the Book of Mormon," points to several recent discoveries or scholarly developments that help us better appreciate the influence of ancient temple concepts in the Book of Mormon. One of the topics there that I enjoyed learning about most was the possible role of ancient sacred relics in Nephite religion serving a role similar to the relics of the Ark of the Covenant in the Jewish temple. Here I combine a portion of my previous post with some additional information. How was it even possible for the Nephites to observe the Mosaic rituals without the Levitical priesthood, the Aaronite high priest, and the Ark of the Covenant? And given that our temple worship today isn’t about animal sacrifice, what, if anything, does their temple worship have to do with ours? In addition to the king’s position at the top of the Nephite priesthood structure, we find evidence of his status as high priest in his using the same or a similar instrument to the one used by the biblical high priest to inquire of God’s will for His people. For the ancient Israelites this instrument was the stones of Urim and Thummim, kept in the pocket of a breastplate. The equivalent Nephite instrument, which also attaches to a breastplate, is called in the Book of Mormon “the interpreters” and in revelation to Joseph Smith “the Urim and Thummim.” Importantly, this Nephite equivalent to the Jerusalem high priest’s most important relic was the possession of the Nephite kings. Mosiah the Second used it to interpret the twenty-four Jaredite plates, as his grandfather Mosiah the First evidently had to interpret the Jaredite stone record. This would place the interpreters in the hands of the Nephite kings even while the prophetic record “the small plates” was still being through Jacob’s line, suggesting that the Nephite high priestly relics and role belonged, not to the prophets, but to the kings. We go from the “who” now to the “how” of Nephite temple worship. Nephi wrote that he had built a temple like that of Solomon. This statement has drawn guffaws from critics, who note the enormous scale and grandeur of Solomon’s temple. But it isn’t the scale and grandeur of Solomon’s temple that made it a model for Nephi’s. Nephi wanted his temple to be like Solomon’s, not in size, but in functionality. To perform the rituals prescribed by the Law of Moses his people would need a temple parallel to Solomon’s in rooms and relics. But while the Nephites’ omission of the Ark of the Covenant from their temple is, as he says, understandable, it is also glaring. The Jerusalem temple was, in one sense, a house for the Ark of the Covenant. The temple was structured in layers of sacredness, or degrees of glory, if you will, around the Ark, with the chamber that contained the Ark being the holiest place of all, the Holy of Holies. The Ark, bearing as it did the stone tablets God touched with His finger on Sinai during the Exodus, provided Israel an embodiment of His presence. The Ark also served as an altar, upon which the Aaronite high priest was required to sprinkle sacrificial blood during the all-important Day of Atonement. How could the Nephites keep the Law of Moses without access to the Ark of the Covenant? And with what, if not the miraculous relics of the Exodus, including their literal touchstones with Deity, would sufficiently sanctify their Holy of Holies to make it an appropriate dwelling place for God? As in the case of replacing the Aaronite high priest, they would have to introduce their own fitting substitute. 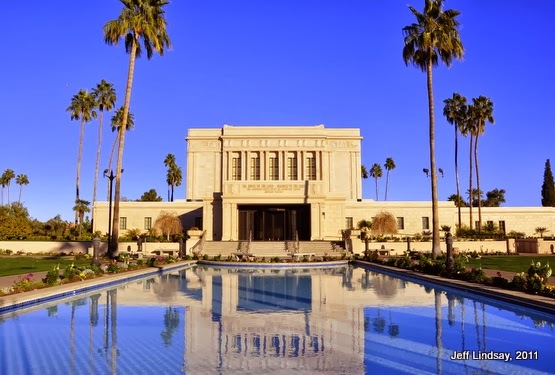 Whether the Nephite temple was like Solomon’s on its exterior was irrelevant. Whether it was like Solomon’s here, at its heart, the Holy of Holies, was vital. Something, presumably something remarkable, would have to sit in the Ark’s place. But what did the Nephites have that could stand in for the sacred relics of the Exodus kept in Solomon’s temple? They had their own sacred relics, including those of their exodus to the new promised land, relics handed down through the line of kings and then that of prophets and ultimately recovered by Joseph Smith on the Hill Cumorah. In the stone box—which Martin Harris reportedly called an “ark”—Joseph found a set of Nephite sacred treasures that paralleled the relics associated with the Ark and its custodian, the High Priest. The relevant relics associated with the Ark and the High Priest were as follows: in the Ark were the stone tablets God had touched during the Exodus, and according to the Epistle to the Hebrews, also Aaron’s rod that budded and a pot of manna. And we’ve already discussed the High Priest’s Urim and Thummim and breastplate, which attached to a garment referred to as the ephod. Cumorah’s “ark” contained the plates, the breastplate and interpreters, the Liahona, and the sword of Laban. The most obvious identification, which we’ve already made is that of breastplate with breastplate, and interpreters with Urim and Thummim. Only slightly less obvious is the parallel of scriptural stone tablets with scriptural golden plates—or, golden tablets. But what of the pot of manna? This is what I found most interesting. Recall the description of the discovery of manna in Exodus 16:13-15: “In the morning the dew lay round about the host. And when the dew that lay was gone up, behold, upon the face of the wilderness there lay a small round thing…. And when the children of Israel saw it, they said one to another, It is manna, for they wist not what it was.” The manna, a symbol of the Lord’s mercy in which he provided sustenance for the Jews in their exodus from captivity to the promised land, was found in the morning as they traveled in the wilderness, and is described as a small round thing that lay on the ground. Any guesses as to what sacred relic among the Nephites might be a fitting substitute for the pot of manna? Significantly, it was in the morning in the wilderness when Lehi, while leading his family on their own exodus to a new promised land, discovers a strange round thing lying on the ground that gives them guidance regarding where to go, and where to find food. And like the Jews finding manna who didn’t know what it was, Lehi was also astonished and puzzled: “As my father arose in the morning, and went forth to the tent door, to his great astonishment he beheld upon the ground a round ball of curious workmanship” (1 Nephi 16:10). Lehi’s Liahona serves as a remarkably fitting parallel to the pot of manna, a symbol of the Lord’s mercy and deliverance. And like manna, it wasn’t a gift to be taken for granted, but could quit functioning as a result of rebellion. The cache of Nephite sacred treasures was more than sufficient, and at least equal in spiritual power to those in the Ark of the Covenant. Including as it did the interpreters, which had been touched by God and served as a medium of communication with Him, it made an ideal point of contact between God and man to rest at the center of the Nephite Holy of Holies. This is one of many subtle and fascinating aspects of the temple in the Book of Mormon. I especially like the connection between the manna and the Liahona, and the abundance of pre-exilic temple and wisdom themes in the Book of Mormon. The Book of Mormon, as usual, is far “smarter” than Joseph Smith, meaning that its ancient influences and themes are far more sophisticated and rich than Joseph or anyone in his day could have contrived. I am intrigued by the relationship between the small, round manna found on the ground in the morning and the food-finding round Liahona, found on the ground in the morning and listed as a "small thing" in Alma 37 when sacred relics are being turned over to Helaman by his prophet father Alma. Whether it was deliberately recognized and described to parallel manna or not, it certainly could serve as an important sacred relic for the Nephites, and possibly as part of a Nephite equivalent to the Ark of the Covenant. There is much more one can say on this topic, such as the themes we find when Christ ministers to the Nephites and Lamanites at the temple in Bountiful. See The Sermon at the Temple and the Sermon on the Mount: A Latter-Day Saint Approach, edited by John W. Welch (Provo, 1990). Of particular interest is the chapter from John Welch, "Toward an Understanding of the Sermon as a Temple Text," which provides a lengthy list of correspondences between the LDS temple concept and the pivotal events in 3 Nephi involving Christ and His teachings at the temple. Welch helps us see that the Book of Mormon has much more temple-based influence in it that we might have previously recognized. Much of the Sermon at the Temple is drawn from the Sermon on the Mount, of course, but dismissing it as mere lazy plagiarism overlooks the significant and subtle differences between the two, and the many interesting and authentic ancients twists found in the Book of Mormon presentation. The covenant-related aspects of the 3 Nephi text should be considered in light of the ancient covenant formulary that I believe is found not only in ancient treaties and covenants from the Middle East, but also in the restored LDS temple concept, something I discuss on my LDSFAQ page about the LDS temple. The six general elements of the ancient covenant formulary, first noted by modern scholars in the 1930s, appears to be present in the Book of Mormon in King Benjamin's speech. See "Kingship. Coronation, and Covenant in Mosiah 1–6" by Stephen Ricks in one of my favorite books available for free online reading, King Benjamin's Speech at the Maxwell Institute. (Since several of the links for this post are for the Maxwell Institute, I will warn readers that the books and articles on that website often no longer display the author's names or other relevant information about the source. But this article is from Stephen Ricks, though you cannot tell by looking at the article itself. A related problem in some important articles is that longer titles are truncated, sometimes leaving out the most important information, like this one about the views of Hugh Nibley where Dr. Nibley's name has been deleted from the displayed title. Sigh.) Also see "King Benjamin's Speech: Forget Solomon Spaulding, Ethan Smith, and Shakespeare" at Mormanity. Clever applications of ancient Jewish temple themes, including subtle Hebrew word plays, seem to be present in First Nephi as well, including the rich symbolism of Lehi's vision in First Nephi 1 and his tree of life vision in First Nephi 8. Some interesting and long-overlooked temple aspects of his tree of life vision are brought out in a recent book by D. John Butler, which I discuss in "A Temple Gone Dark: An Important New Slant on the Themes of Nephi’s Vision and Lehi’s Dream." Butler builds upon some of the new insights into ancient Jewish religion obtained by examining early records and reconstructing what was lost after the Exile and through some of the reforms that began with King Josiah. Also see David E. Bokovoy, “'Thou Knowest That I Believe': Invoking The Spirit of the Lord as Council Witness in 1 Nephi 11" in Interpreter: A Journal of Mormon Scripture 1 (2012): 1-23, and Kevin Christensen, “The Temple, the Monarchy, and Wisdom: Lehi's World and the Scholarship of Margaret Barker,” in Glimpses of Lehi's Jerusalem, ed. by John Welch, David R. Seely, and Jo Ann N. Seely (Provo: Maxwell Institute, 2004). Growing scholarship about the ancient temple increasingly sheds light on key elements of the LDS temple and the world of the Book of Mormon, where we can see many aspects of ancient temple-related traditions and paradigms in the Book of Mormon. Kevin Christensen, “Jacob's Connections to First Temple Traditions,” Insights, 23/4 (2003), at MaxwellInstitute.com. Kevin Christensen, "Nephi, Wisdom, and the Deuteronomist Reform," Insights 23/2 (2003): 2-3, at MaxwellInstitute.com. Margaret Barker, “What Did King Josiah Reform?,” in Glimpses of Lehi's Jerusalem, ed. By John Welch, David R. Seely, and Jo Ann N. Seely. Margaret Barker, The Older Testament: The Survival of Themes from the Ancient Royal Cult in Sectarian Judaism and Early Christianity (London: SPCK, 1987). Kevin Christensen, "Paradigms Regained: A Survey of Margaret Barker's Scholarship and Its Significance for Mormon Studies," FARMS Occasional Papers, no. 2 (Provo, Utah: FARMS, 2001), 28-30. Daniel C. Peterson, "Nephi and His Asherah," in Mormons, Scripture, and the Ancient World: Studies in Honor of John L. Sorenson, ed. Davis Bitton (Provo, Utah: FARMS, 1998), 209-17. Margaret Barker, The Great Angel: A Study of Israel's Second God (Louisville, Ky.: Westminster/John Knox, 1992). David E. Bokovoy, “The Spirit of the Lord as Council Witness in 1 Nephi 11,” Interpreter: A Journal of Mormon Scripture 1 (2012): 1-23. Temple and Book of Mormon bibliography, MormonScriptureExplorations.org. Fascinating insight, Jeff. Now the question is, where was Nephi's temple? Jeff, once again you illustrate that Joseph Smith had to have been a real prophet of God or an evil genius. There is no in between. Personally, I believe the prophet of God explanation. You ask "how the Nephites could dare to make their own temple in the New World without the Ark of the Covenant and its authoritative relics that added to the sanctity of the holy of holies and made it a place fitting for the presence of the Lord?" However, even without those relics, Jews clearly felt comfortable building temples in Egypt: First at Elephantine Island in Upper Egypt (contemporary with Lehi & Nephi), and later at Leontopolis (Tell el-Yehudiyeh) in Lower Egypt. Both lasted for hundreds of years and featured animal sacrifice. It would have been a surprise if Nephi had not constructed a temple in the New World. The Significance of Nahom: Just Three Letters?